According to several online sources, The Rev. Girard Angelo once told a friend that he promised God if he was ever assigned to a parish with enough land, he would build a Shrine. He did exactly that when he was sent to St. Raphael’s Church in Harleigh, near Hazleton, Pennsylvania. 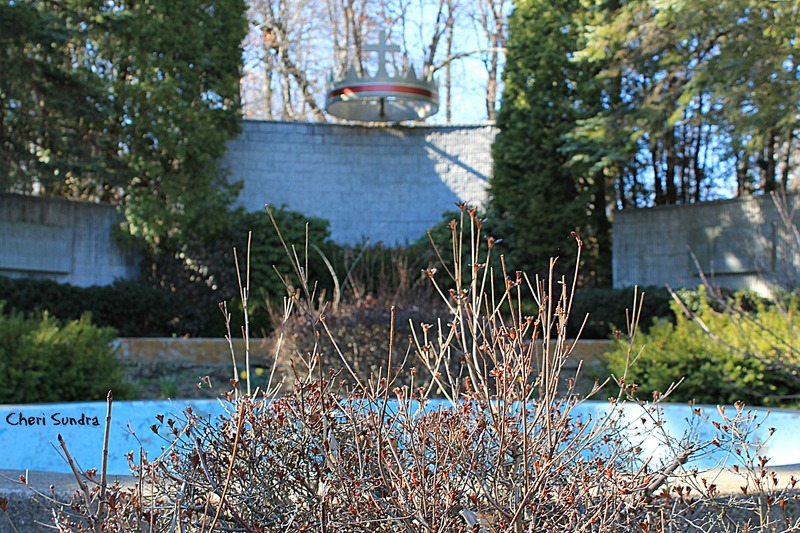 Construction began in 1974, with the outdoor Shrine ceremoniously dedicated on June 22, 1975, the Feast of the Sacred Heart. The name of the church was changed to Sacred Heart of Jesus, and it was designated as a National Shrine in 1997. What Rev. Angelo accomplished was nothing short of miraculous, the largest shrine to the Sacred Heart in North America was built by one of the smallest parishes in the Scranton Dioceses. Rev. Angelo personally led tours for the busloads of Shrine visitors who made their way to show their devotion. Sources say the Shrine had more than 100,000 visitors each year, usually via those organized bus tours. The Shrine provided breakfast, lunch, or dinner in the dining hall of the Sacred Heart Center. Pilgrims who wanted to stay overnight found accommodations at nearby motels — one of which offered a discount through the Shrine organizers. Those promoting the Shrine also spoke of the coal mining heritage of the area by encouraging visitors to stop by the “living history” museum of 19th-century mining, known as Eckley Miners’ Village. Reverend Angelo, who was well-loved by many for building the Shrine, died in 2009 at the age of 82. “The National Shrine of the Sacred Heart of Jesus located in Harleigh, Pennsylvania has been closed effective August 8, 2011. Visits to the Shrine decreased significantly over the past several years; and with no direct funding source in place to maintain the Shrine, the property fell into disrepair and potential safety concerns were raised. In consideration of the future of the Shrine, a facilities study was conducted and concluded that the cost to renovate the Shrine would be prohibitive. I don’t know how you manage to ferret out these long-forgotten items from the area, but I applaud your pertinacity, and I sincerely hope that there’s a book by you forthcoming!